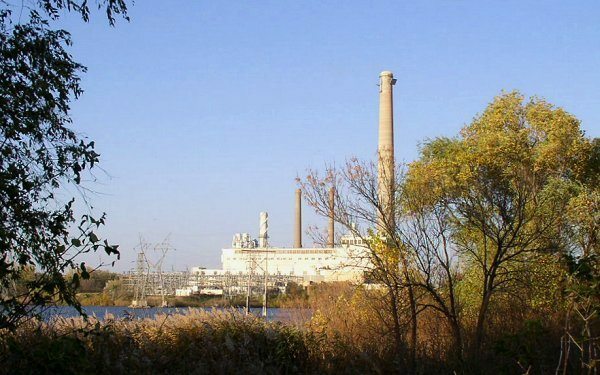 Stop the Secret Power Plant Deal in University City! 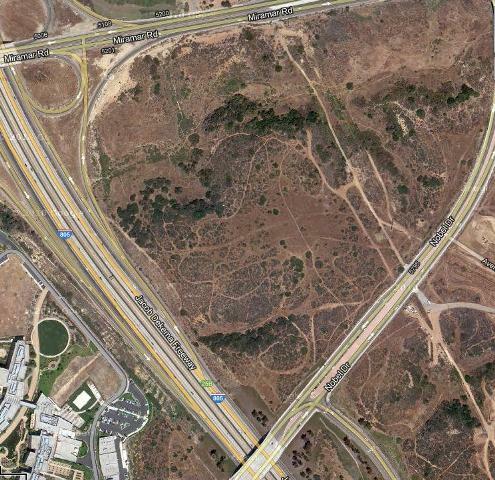 Site of proposed power plant – northeast corner of Nobel Dr and I-805. What happens when you combine strong mayor Jerry Sanders with a Canadian firm’s desire to build an 800 MW gas-fired power plant in San Diego? You get a secret plan that is being fast tracked through the City Council with the intent of a November ballot measure to enable passage. You also get “business as usual” at City Hall. Hear more about the proposal and what you can do on Monday, June 25, 6pm at the University Community Planning Group meeting, Forum Hall, UTC Mall (above Wells Fargo Bank). Matt Potter at the San Diego Reader describes how a power giant from Edmonton, Canada received approval to fund a San Diego campaign finance committee through it’s wholly owned American subsidiary, Capital Power US Holdings. A new plant would require the approval of city voters through a ballot measure. Capital Power US Holdings will provide the grease to support the passage of the measure and the question is whether there is enough grease to get it on the November 2012 ballot and whether the citizens will get wise to what’s going on. According to Potter, “the Canadian- sponsored measure would not violate California’s ban against campaign funding by foreign interests.” Once the legal technicalities were conveniently out of the way, the proposal became part of the worm eaten core of City Hall. The Friends of Rose Canyon has released an action alert to inform the community about this secret plan “to lease a large parcel of conservation land on Nobel Drive…to build a massive, ugly, pollution-emitting power plant in our community!” They are anticipating an avalanche of money and slick flyers from the power companies. The Friends of Rose Canyon are no strangers to fighting the encroachment of proposed development on the area. They successfully challenged the Regents Road bridge effort in 2006 as well as the construction of hi-speed rail in 2011 through this environmentally sensitive canyon. Author’s note: The images above are of gas-powered power plants in Utah and Minnesota. I have no idea what the proposed plant would look like here, but these images are worth keeping in mind. The image below is of Rose Canyon. This would be TERRIBLE for the community of University City. It would emit NOx particulates into the air that the residents breathe every day (also the students at half a dozen schools). 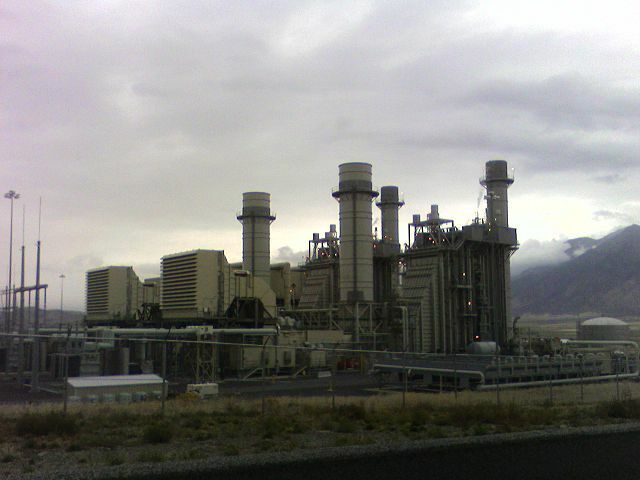 This 800 MW monstrosity would be less than 2000 feet from a densely populated residential community that does NOT have the infrastructure (filtered air systems, indoor-only facilities, etc.) to handle being so close to an industrial power plant. The fact that this has gone as far as it has behind the backs of the community and their elected representatives is despicable. Shame on the mayor’s office for this! I hope the City Council is as insulted as the residents of this community and will STOP this measure before it goes any further. Please support the community meeting on the 25th and let the mayor’s office (and future mayors) know that this behavior is not to be tolerated. Please everybody: call and/or write your city council person before June 27 and tell them to vote NO on placing this monstrosity on the November ballot. We need to defeat this plan BEFORE it goes to the voters. Otherwise, the power companies will pour so much money into passage and spin so many lies that it will be very difficult to defeat. Thanks, Anna, for another excellent article. I’ve walked this area and I have seen the vernal pools there. I’ve seen how beautiful the land is at times of the year. We are losing our open space – I’ve seen it disappear during the 14 years I’ve resided in University City. This proposal should be killed before it goes any farther. Gene Cubbison, Channel 7 NBC, will interview Janay Kruger and Deborah Knight @ 6 pm Friday June 22. It will be posted online on their website around 9 pm. The City Council Rules Committee should stop this proposal in its tracks. This secret deal is so covered with red flags you could hardly see the massive 850 MW gas-fired power plant hidden inside. The extreme secrecy should kill it outright. But beyond that it’s a deeply flawed proposal: a massive fossil-fuel powered plant adjacent to a large residential area in North and South UC and numerous schools and recreation areas, and with the prevailing winds blowing the emissions east to Mira Mesa and Scripps Ranch. The site is close to the MCAS Miramar runway. New and planned high-end office towers and condos, part of the engine of the city’s economic growth, overlook the site – hardly a selling point for prospective tenants. And it is on protected MSCP land with vernal pools, land the city has committed to federal and state agencies that it will preserve. This land is the more valuable because it lies adjacent to a long greenbelt of MSCP land in Rose Canyon, part of the Rose Creek watershed, which is an important coastal watershed that drains into Mission Bay. Yet if this goes on the ballot, you can imagine the pretty pictures Capital Power will flood your mailbox with, as they are willing to spend any amount of money to get the voters to approve this. The Rules Committee should stand up for the people of San Diego, for transparency, and for good decision-making and vote no to the ballot measure and no to the power plant. Another non-renewable energy powered monster. Just say no and tell the council to do the same. We have to stop kicking the renewable energy can down the road.